This course was given in Eindhoven on 20 April 2017. The speakers were prof.dr. Gregory Parsons, prof.dr. Erwin Kessels, dr. Stephen Potts, and dr. Harm Knoops (guest speaker). Excellent content; clear, concise information; lots of time for questions. Very suitable for beginners, good overview and insight. The course was perfectly organized and all the topics were completely defined. Of course this course was just a day and there was not enough time to cover all the things. I just want to thank you for organizing it. Course was more focused on scientific research and a little less towards practical/technical challenges one can face when starting with (building an) ALD (tool). Description – The course provides an introduction into ALD by providing the basics of ALD, giving an overview of the applications of ALD and describing why ALD has become so important in recent years. Insight into ALD reactors and related equipment is given and a comparison is made between ALD and other thin film techniques. Elementary aspects of precursors and precursor delivery are addressed and important information on film nucleation and other ideal and non-ideal growth effects is provided. Also, plasma and other energy-enhanced ALD methods will be described and selected cases of issues related to ALD as well as its merits will be presented. Parts of the course are interactive, meaning that participants can share their experience and influence the contents of the course. There is ample time for questions during the course and/or in the breaks. After this course, the participants will have a good understanding of the principles of ALD and its technical details, not only in terms of (idealized) textbook examples but also in terms of the practical know-how important to work effectively with ALD. 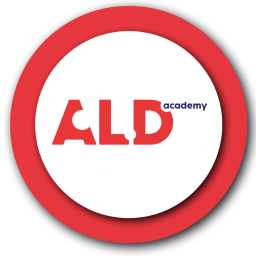 Targeted audience – The ALD introductory course is aimed at people that are relatively new to the field of ALD. This includes students, technologists and other people that work on or are planning to work on ALD but who have limited knowledge of the technology. Course material – A handout of the lecture slides will be distributed before the course. A pre-print of an introductory chapter on ALD will also be provided. Program – The program consists of 8 lectures separated by breaks to have ample time for questions. Two lectures are interactive such that participants can share their experience and influence the contents of the course.